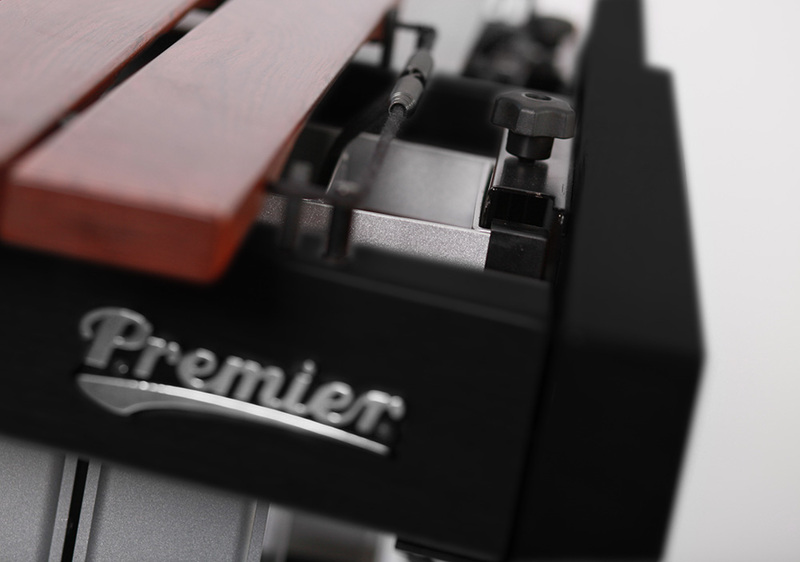 Premier’s 5.0 octave marimba is superbly finished with a magnificent sound. The note bars, made from the highest quality Honduras rosewood, are ‘stretch’ tuned so that they become progressively sharper as you move up the instrument which is more pleasing to the ear than basic equal-temperament tuning. All tuning is carried out by hand in carefully controlled conditions of temperature and humidity in the UK. The sound projection of the notes can be controlled by its beautiful silver aluminum resonators, which can be adjusted in height. 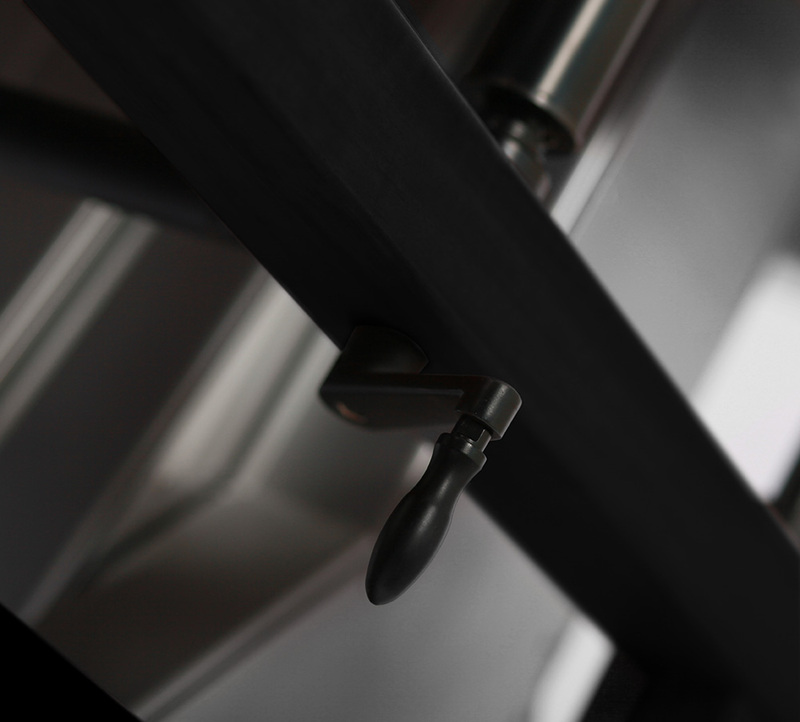 Whilst the instrument is fully height adjustable by way of a smooth-operated handle, found on either end of the frame. 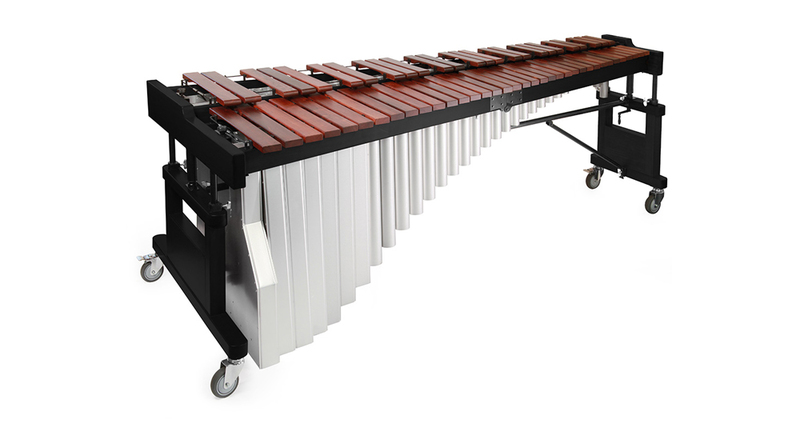 For transportation purposes, the marimba can be easily disassembled and stored in a 7-piece case set (available separately). 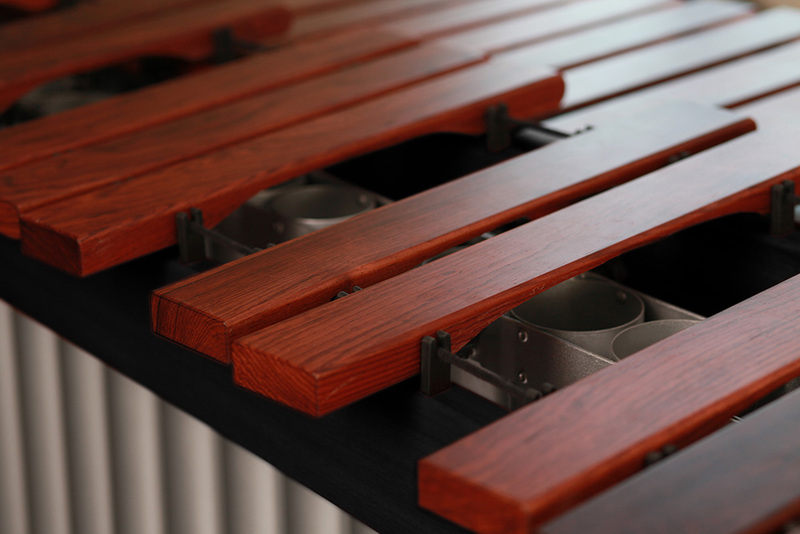 The Orchestral Series 5.0 octave marimba provides an inimitable sound adored in concert halls. The warm yet striking tone of this instrument sounds fabulous in symphonic, brass bands, multi-percussion and solo repertoire. When ordering this instrument, please specify your desired tuning from A440 (A0), A442 (A2) or A443 (A3). For example 02RM500/A2.